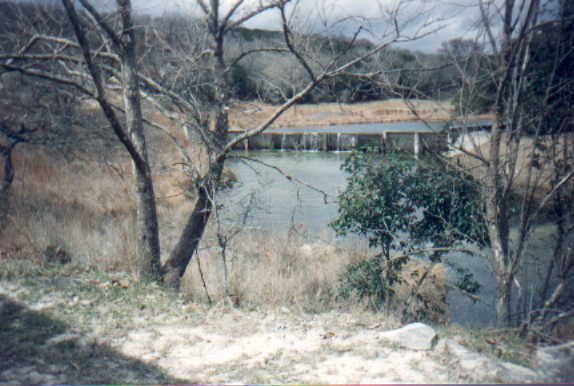 Description: Hill country living at its best. One half mile north of town on State Road 16 North of expressway on Scenic Valley Rd. 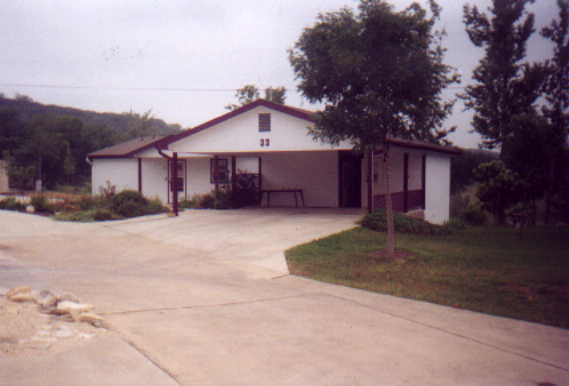 A 1995 Schult's doublewide 1311 sq. 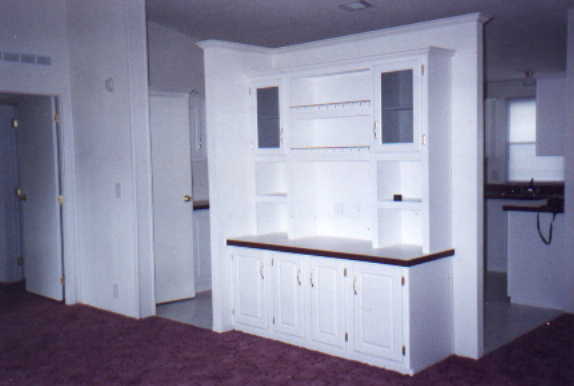 ft., 2 bed + den and 2 bath Dynasty Series, La Mesa Model with an add-on extension for a small workshop and storage room. 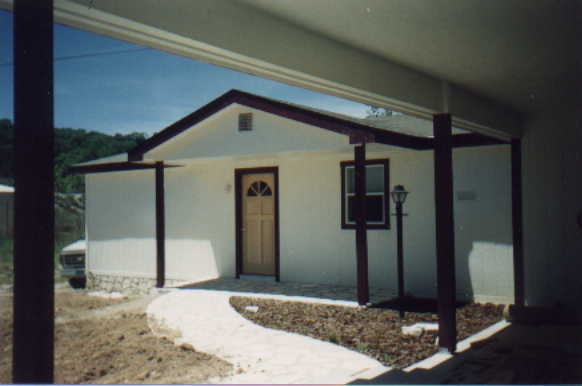 Also this home provides a 24 X 24 foot attached carport. Beautifully constructed and maintained. Master with walk-in closet. 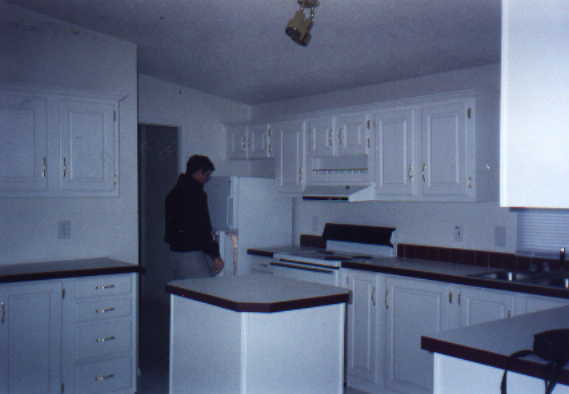 Heat Pump, range, refrigerator, water-softener, washer and dryer covered with a new homeowners protection plan. 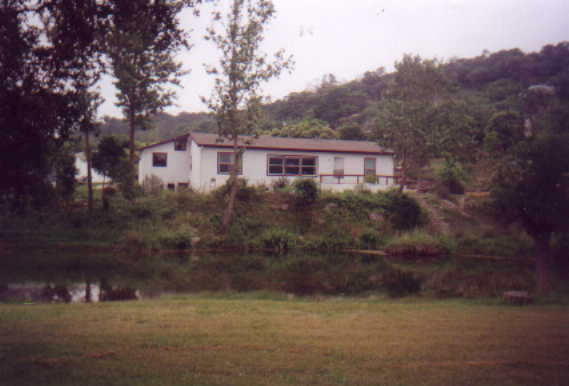 Home Features:The large living room picture window and deck for a beautiful and relaxing view of water falling over the dam and the three acre ponds. This is a nature lover's paradise. 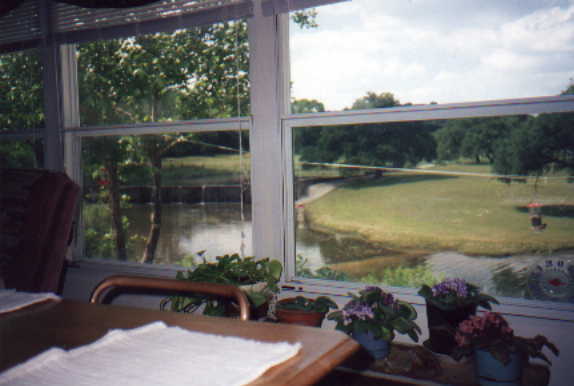 The field across the pond is continuously maintained by the trailer park and the field beyond the dam hosts a evening visiting group of deer. 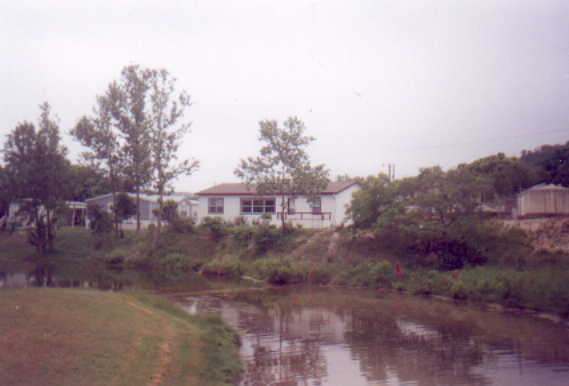 The pond is stocked with both bass, pan fish and large imported exotic catfish. The surface of the ponds are always active with a several varities of ducks, turtles and other many other migrating birds. An automatic water-drip system cover both the front and back. 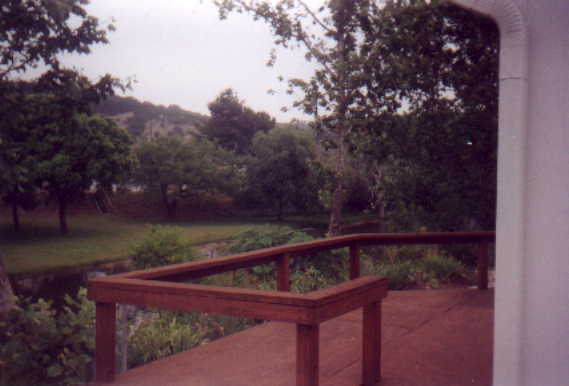 The front porch area is covered and the walkway is constructed from the local white stones. Community Features: Retirement (age 45+) community with close access to the Shriner College, fitness centers, and several golf courses and the beautiful Guadalupe river. Mobile Home+ at Scenic Valley Park, Kerrville TX.